​Huddersfield Town look set to appoint Borussia Dortmund's Under-23 coach Jan Siewert as David Wagner's successor, despite Terriers' supporters appealing for the appointment of former Fulham boss Slavisa Jokanovic. The Terriers have been on the lookout for a new man at the helm following Wagner's decision to step down as manager on Monday, in the aftermath of Huddersfield's 0-0 draw at Cardiff. Now, the ​Mirror is reporting that club owner Dean Hoyle has found the German's successor, as 36-year-old fellow countryman Jan Siewert will leave his role as ​Dortmund's Under-23 coach to take the reins at the John Smith's Stadium. However, Huddersfield supporters have taken to Twitter to voice their opinions on who their next manager should be, with ex-​Fulham boss Slavisa Jokanovic the outstanding favourite, having been sacked by the Cottagers last November. 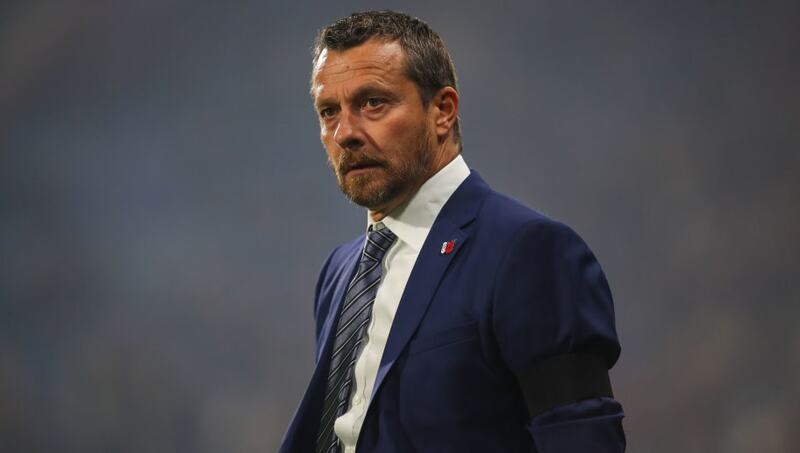 Many fans are resigned to relegation this season, and would back Jokanovic's appointment, with the Serbian having achieved promotion from the Championship with Fulham last season, and Watford in 2015. Jokanovic or Karanka for me due to there Championship experience. However Jan Siewert would be a typical Huddersfield appointment and I’d be happy with it tbh. Look at 2 former Dortmund II managers. Wagner and Farke. They’ve done very well. I’d take Jokanovic in a heart beat. Plays exciting football and knows the championship. Jokanovic was the right choice for me. The club ​announced on Tuesday that they would reveal their new boss after Sunday's Premier League encounter with ​Manchester City, however it now appears clear who the man to take charge will be. Wagner left the club rooted to the bottom of the table, eight points adrift of safety having mustered just two wins all season. With relegation all but inevitable, Terriers' fans will hope the imminent appointment of Siewert will prove fruitful, despite not being many supporter's first choice.